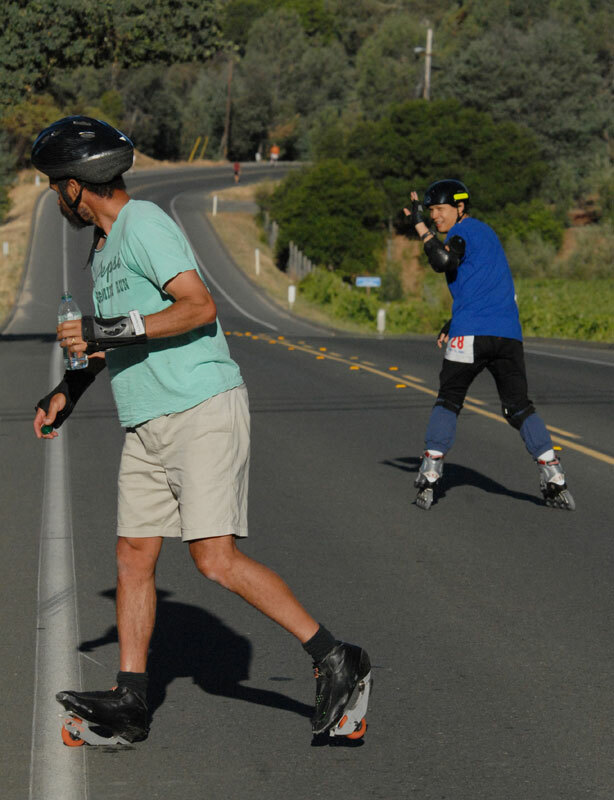 Birds of a Feather - Myshael Gailson (left) skated the half marathon (13.2 miles) on one-wheel skates of his own invention. Behind him Jack Fong, skating backwards, waves to a spectator. Fong "back skated" the half marathon last year and had hoped to skate the full marathon this year. 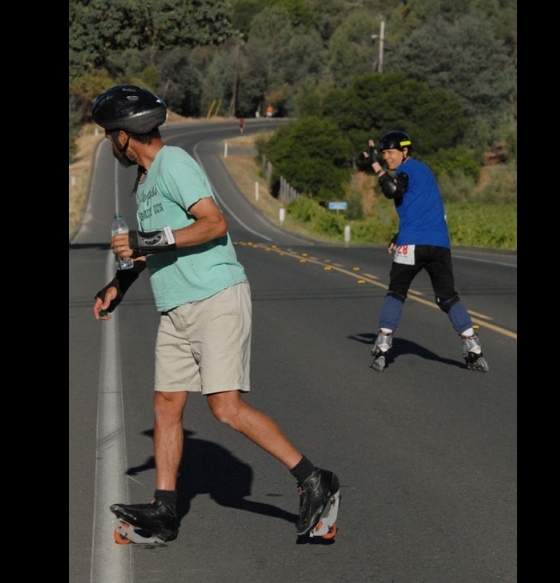 But he ran out of time — the race course was closed after three hours — and was asked to skate the final mile in the usual direction.